Pityriasis rosea is a skin disease that is common in the general population and over the last several years has become known as the Christmas tree rash. A lot of people are familiar with rosacea, a chronic, incurable skin condition characterized by red blotches on the face, but pityriasis rosea isn’t as well known. Like rosacea, pityriasis rosea is a skin problem that produces red patches. Rosea comes from the Latin word, meaning rose colored. This is where the similarities end. Pityriasis rosea is most commonly on the back, chest or neck and tends to peel off in tiny scales. Pityriasis is the Greek word for bran. In this case, the bran is the flake of skin from the lesions that peel or fall off the skin. The rash is normally seen in people between the ages of 10 and 35. Once a person gets the Christmas tree disease they never get it again. There are pityriasis rosea stages; it begins as a single, large pink or red scaly patch, often referred to by medical experts as the “herald patch” or “mother patch”. It measures anywhere from 2 to 10 centimeters. This patch is dry and has a well-defined, scaly border. Within 5 to 10 days of developing the herald patch a series of smaller, oval shaped patches appear on the chest, back and legs. The lesions on the trunk and abdomen often run along the midline of the body in a pattern that looks like the outline of a Christmas tree, hence the name. While the lesions are found mostly on the chest, back and upper arms, sometimes they can be found on armpits, the groin, and palms of hand or even the feet. Some patients develop ulcers or plaques inside their mouths. Pityriasis rosea causes are still under investigation. So far medical research shows that there is no allergy connection to the Christmas tree rash. We also know that fungi and bacteria have nothing to do with the Christmas tree disease. Since this particular skin disease tends to cluster in families, researchers continue to look at the possibility that a virus may be the cause. Having said this, it is believed that the skin disease is not contagious. It doesn’t seem to spread from one person to another by direct contact with the rash. As described above, people with pityriasis rosea get a herald or mother patch, which is followed by a series of other red or pink spots. About half of those who get the Christmas tree rash experience itchy skin. The itch is much worse when the person gets warm. By the time the rash actually appears, these symptoms tend to disappear. While the pinkish-reddish colored patches form a Christmas tree like pattern on the upper back, they seem to form a V-shape across the chest. Once the rash disappears you might notice some darkened or lightened areas of skin, but this is not permanent and will eventually go away. Thankfully, pityriasis rosea does not cause any scarring. Sometimes pityriasis can be mistaken for other skin diseases. For instance, it has been accidentally diagnosed as ringworm or a type of eczema called nummular dermatitis. In many cases, it is a dermatologist who diagnoses the Christmas tree rash. A dermatologist may remove a little bit of skin or order blood tests to narrow down what the problem is. Once a diagnosis has been made, the doctor will determine if any pityriasis rosea treatment is necessary. In most cases, it is the uncomfortable itching that requires controlling. Generally, doctors will suggest one of four treatments for the Christmas tree disease. 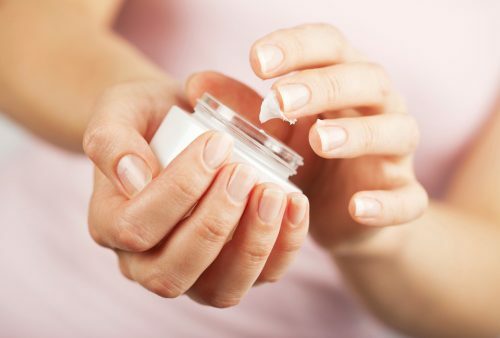 Emollients – skin creams to moisturize and soothe the skin. Steroid creams or ointments – to reduce inflammation and the itchy feeling. Antihistamines – medicine used to treat itchiness. UVB light therapy – slows the growth of affected skin cells. While a pityriasis rosea cure does not exist today and medical treatments are limited, you can incorporate lifestyle and home remedies if you have the skin disease. For example, many people with the pityriasis rosea find an oatmeal bath comforting. Calamine lotion is also helpful. Neem leaves, which come from the neem tree native to India, have been effective for many people who have suffered from the Christmas tree rash. You simply boil a bucket of water and add a sheaf of neem leaves to it. Once the water cools down, you can put it in the bath and sit in it. Neem has anti-inflammatory and antiviral properties. Some people have reported that their red patches begin to fade after using neem leaves. Just be sure to speak with your doctor before proceeding with any treatments or remedies. Rubbing either coconut oil or aloe vera gel on the rash has also been known to help people who struggle with the itching associated with pityriasis rosea. Prognosis for pityriasis rosea is positive because even without treatment, it will often go away after nine weeks. With treatment, patients can experience relief sooner. Patients often won’t experience long-lasting scars, but some mild skin discoloration may occur. After having pityriasis rosea, patient will have lifelong immunity. Pityriasis rosea is much like a cold – once you get it, you have to let it take its course, but it can be uncomfortable and unsightly. Many people require some sort of remedy to ease the discomfort, as well as spare themselves the glares they may get. If you have the rash and need to cover up, wear loose, cotton clothing. If one remedy doesn’t seem to help with the itching or inflammation, try another approach. The good news is, if anyone gets the Christmas tree rash, it is short-lived, generally lasting 4 to 8 weeks, and does not recur.